In the sanctuary of Fatima, there is a modern built Church of the Holy Trinity, which seats 9,000 people. 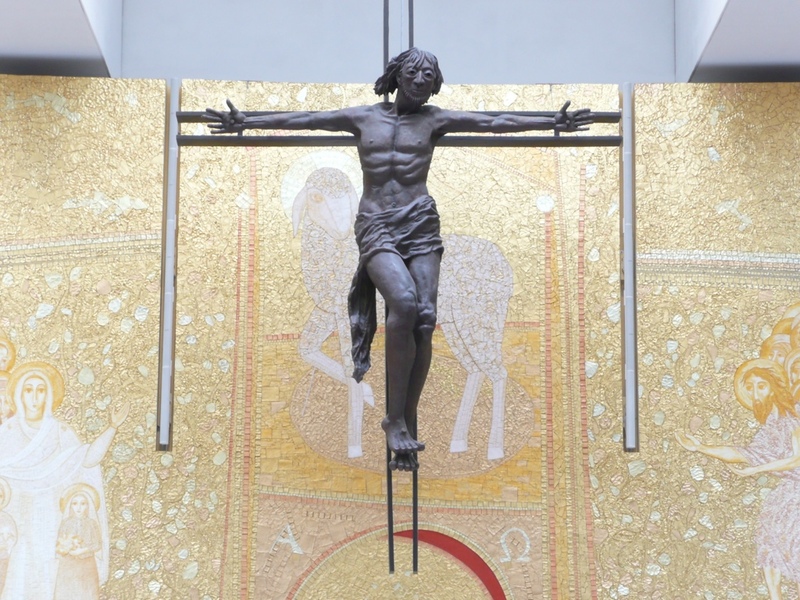 Behind the altar is this crucifix. Notice the lamb. Jesus is the lamb of God whose blood was poured out for you and for many so that sins might be forgiven, as the lamb was slaughtered and the blood was smeared on the doorposts of God’s people so that they might make their exodus to freedom. Below this cross and lamb and bloodied arch is the altar. You make the connection.